Liverpool has a smart new urban brewery & distillery! Stephen Crawley (pictured left), founder & chief executive of Higsons 1780 Ltd, was born and bred on the Wirral and has held a lifelong ambition to bring pride back to the city’s brewing heritage and revive the glory of the former Higsons Brand. In this article, he tells the story of the brand and how he has resurrected it. Starting from scratch in a business is a challenge at any age, but I don’t think I would have managed to get Higsons 1780 established without the drive of a thirty something and the connections of a person in their fifties! Having lived in Edinburgh from 1993 and working for The Caledonian Brewing Company (MD from 2001 – 2013), plus being been involved in several other beer/drinks business in leadership or non-executive roles, it seemed I should do something close to my skill set, ideally with some pals, and of sufficient scale to create proper jobs and hopefully have some fun doing it. But that is what happened! So, why Liverpool? Well I sold my first case of Labatts in Liverpool in 1988 and on my visits back for work and to see friends and family, it seemed really on the up. No longer the ‘gastronomic desert’ with no hotels for the Grand National. It seemed exciting whether or not there was any substance to the Northern Powerhouse. There appeared to be a buzz and much more positive PR, and the waterfront was no longer just the Albert Dock! The vision was a brewery/tap that was rooted in Liverpool but with the feeling that you were in a Brooklyn or New York loft/hotel lobby or a smartly refurbished West Coast warehouse, or a cool bar in Copenhagen. We needed a location, a building, brands, people and a warehouse. Back in 2011 I had started sketching out my vision, my idea and I am indebted to pals who have helped me shape that vision. One of those pals was Alex Chapman of Bermans who I met in the rugby trial at Birmingham University in 1982 and subsequently played cricket with for years. Alex said if anyone can exit Caledonian, Harviestoun, and find a way to get Higsons started – it’s you! 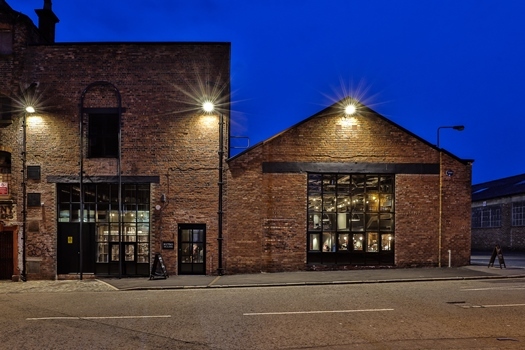 We settled on the Baltic Triangle as the location (mini Brooklyn / Shoreditch) and we found a building (62-64 Bridgewater Street) that was leased to The Liverpool Craft Beer Company (TLCBC) by Ley Holdings. 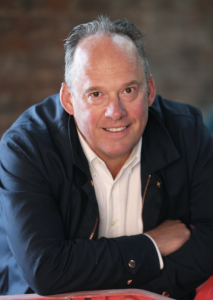 Their owner Mark Wealleans, (who sadly died of cancer as we were about to sign the new lease) was a great supporter of the project and wanted his building to go to good use and liked the idea of something of real quality going into his old rubber factory. Marks son Dean has carried that vision forward and we have completed on the building. Thanks Mark and Dean. 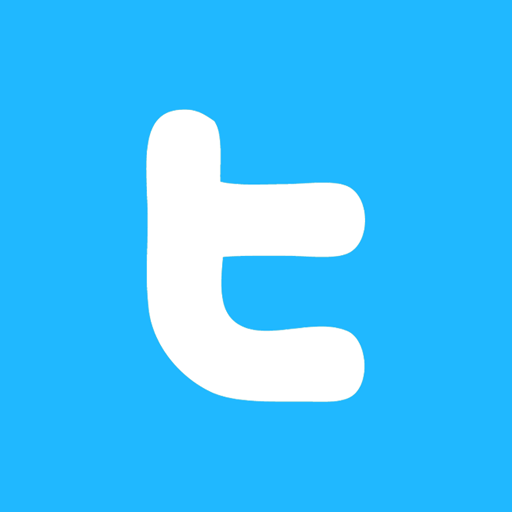 Our brands are Higsons – made in Liverpool and we wanted a proper home for a brand that started back in 1780 but wanted it to look forward, so we turned the Liver Bird to look forward and we want Higsons to again become part of the community in greater Liverpool. We even have members of the ‘Higsons owners’ as shareholders! 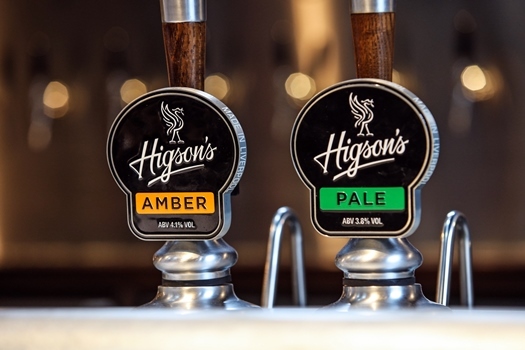 Higsons is currently a Pilsner at 4.4% and Pale at 3.8% and Amber at 4.1%. It’s great to have Higsons back in Liverpool. 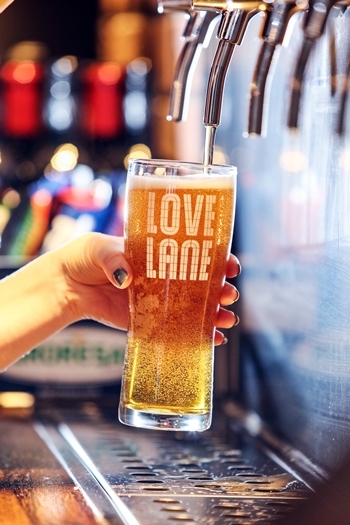 By purchasing TLCBC I also acquired a great brand named ‘Love Lane’ and a fabulous beer called Love Lane Pale Ale (probably Liverpool’s first draught craft brand). There is also Love Lane West Coast and LL Rye – look out for more later on this year! We also wanted to make gin, right in the heart of Liverpool and in an urban location in L1. 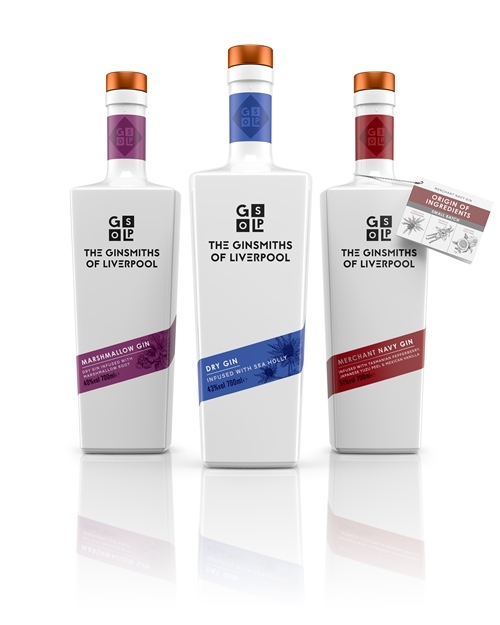 So, The Ginsmiths of Liverpool came together and created: a dry gin using sea holly – the flower of Liverpool, a Marshmallow gin using marshmallow root, as favoured for medicinal purposes by Liverpool’s Chinese community and a Merchant Navy gin as a nod to Liverpool peoples links to that body and with botanicals sourced from Liverpool’s garden – the ports it has traded with. All these brands are all housed in the Tap & Still (open 12pm-11pm daily) which celebrates the fact we are brewery and distillery rooted in Liverpool making beer and gin right next to our bar/event space with tasty locally sourced food. We are also developing our menu – a daily beer hall theme with lunchtime and evening specials, G & Tea (afternoon teas) launching on April 27th, Sunday lunches and bespoke menus for events, plus whole venue hires. We have a great team of over 25 people now; a year ago we were less than a handful. It’s all about the performance of that team now – it’s very exciting. We appreciate the help on the journey of Bermans. Jon Davage (Corporate) Fergal O’Cleirigh (Property), Adrian Fryer (Employment) and of course our gateway to Bermans; Alex Chapman. Alex, you said it would happen and to keep the faith. With that appreciation in mind, here is a chance to win four great prizes courtesy of the Tap & Still, Prizes from The Ginsmiths of Liverpool and Love Lane. Good Luck! To be in with the chance of winning one of the below prizes, email your full name & email address to events@h1780.com. Prize one: Gin Experience with tour of distillery and gin tasting for 6 people on a date of your choice. Prize two: G & Tea Afternoon tea for two at Tap & Still. Prize three: Three course meal for two on a date of your choice. Prize four: A case of Love Lane Beers. T&C’s apply. Dates for booking are subject to availability. Prizes are redeemable with proof of voucher only. Please note, by entering the competition you are subscribing to the H1780 Tap & Still mailing list- we promise to not sell on your data and you can unsubscribe at any time.